angel playin "cage" and a drum machine. We stand together, heads held high, acknowledging that we too are a Force of Life and in acceptance of our direct connection to All That Is. We stand together knowing that we are a force of life and that we accept each our own direct connection within as the manifestation of, ALL THAT IS. We do to the Earth. FULL OF WONDER AND LOVE! I've recently uploaded some new music I've been working on. It's on the Broadjam site at This Address. There's three songs underneath my pic but click on more... and guess what, there's more. My favorites are It's A Matter of Space, Oudles of Noodles and Gong Along The Watch Tower. Let me know what you think. The koto is a long zither with movable bridges, characteristic of the East-Asian melodic zone. Often celebrated in literature, it is sometimes compared to a dragon lying on a beach and conversing with the waves— which are evoked by the undulations of the wood on the soundboard. The song below, traditionally accompanied on the koto, is based on a play on words and sounds, the term “Usu” being both a noun meaning “wooden mortar” and an adjective referring to “vague”, “pale”, “light” or “thin” depending on the context. This word, which appears in 12 different places in the original lyrics, gave the song its title, which evokes the passing of seasons. This is to my universal family. I love you all!! One day, while spending some time with Jack over the summer, we became inspired together to improvise some music. Spirit opened the inspiration for Jack to create a strumming guitar piece that opened me to start singing with a Celtic feel. The melody and lyrics that came were about a man who lived by the sea, and about how this man and I would be coming together to experience a magical adventure. This magical melody (my log name) and lyrics were recorded on CD that day and we recorded the complete version a month later. This song on CD was sent across to New Zealand from Minnesota, and ultimately it helped to bring Max and I together. It was truly a real songline that started weaving real magic in my life! Jack is creating his own type of magic performing nationally on television twice now and on local programs at the young age of 12. Ruth Barrett is Dianic high priestess, a Ritualist, and pioneer award winning recording artist of original Goddess songs. For over 23 years, she has been teaching workshops in Dianic witchcraft and leading rituals at festivals and conferences internationally. She is author of WOMEN¹S RITES, WOMEN¹S MYSTERIES: Creating Personal and Group Ritual (summer 2003 release), and is passionate about women's magick. Shekhinah Mountainwater has served a Radical Muse since the Beginning of Goddess Awakening. She is a priestess, ritualist, author, poet, musician and a fore mother in the Goddess movement since the 1970's. Jana Runnalls is a renowned singer/musician from Glastonbury, whose Goddess songs and chants are sung by many people around the world. 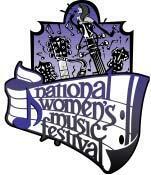 She is a gifted performer singing and playing solo or with Katrina Brown and Glastonbury's Wild Women. She is also a very experienced voice teacher. Her many well-known recent recordings include Return to the Goddess and Lady of the Lake. Look for her in Boston mid-May. Anna Homler has performed throughout the United States and Europe, including appearances at Los Angeles Contemporary Exhibitions (L.A.C.E. ); PS 122; the Kitchen; Dixon Place and the Poetry Project at St. Mark's Church in New York; Supraclub in Prague; Klarinsly in Bratislava, Slovakia; Ketty Do in Bologna, Italy; the Stadtgarten and the Loft in Koeln, Germany; and the Melkweg and the Stedelijk Museum in Amsterdam. From 1990 to 2000 she participated in such international festivals as Sonic Disturbance at the Cleveland Public Theatre; New Music America in Montreal; the Tegentonen Festival at the Paradiso in Amsterdam; Milanopoesia in Milan, Primavera Jazz Festival in Sardinia, the Internationales Treffen Muiskerinnen in Aachen; Het Vertel Festival in Gent, Belgium; Voices Festival in Innsbruck, Austria; Spoken Word Festival in Bruessels, Belgium; Dissidentent Festival in Rotterdam, Holland; the Moers Festival in Moers, Germany; the Festival International des Musiques Actuelle in Nancy, France; Musique Actuelle in Victoriaville, Quebec; Music Triennale Koeln, Koeln, Germany and the LMC Festival, at the South Bank, London. Homler's music first became known in the 1980s with her Breadwoman cassette, a collaboration with Steve Moshier, released on High Performance Audio in the U.S. Her debut CD Do Ya Sa'di Do was relased on amf, an independent German label, in 1992. In 1994 she was featured on sugarconnection: alien cake on No Man's Land and in 1995 on Macaronic Sines, a collaboration with Geert Waegeman and Pavel Fajt on the Belgian label Lowlands. In 1996 she released Silver Bowl Transmission with Voices of Kwahn on North/South in the U.K. In 1997 she released peninsular enclosure on Swarf Finger with the Voices of Kwahn. Her music was also included in Iris, a compilation of women's vocal music on the French label Prikosnovenie. In 1997 a recording of her live performance with Waegeman and Fajt was released as Corne de Vache on Victo in Canada. She is currently working on House of Hands, to be released on ND in January, 2001. Carolyn Hillyer is a truly Goddess inspired artist, musician, writer and performer who lives with her partner Nigel Shaw and family on the wild hills of Dartmoor in southwest England. Her artwork and music have delighted Conference goers for many years and this year she will share new music with us. Among her most well-loved recordings are the recent Cave of Elders: A Soul Journey for Women, Old Silverhead: Songs and Initiations of Womanhood and Songs of the Forgotten People (with Nigel Shaw). Judy Piazza has been exploring music and sound since a young age. A percussionist, singer/songwriter, multi-instrumentalist, recording artist, music therapist, and educator, she performs, facilitates workshops, and teaches nationally/internationally at conferences, retreat centers, workshops, schools, and festivals. Judy is founder of Resonance & Rhythms, artistic director and founder of the frame drum ensemble Bendira, and member of the Michigan-based percussion ensemble Repercussions. Her educational background and experience is in music therapy. Influences and inspiration by such percussionists as Glen Velez, Ubaka Hill, Allessandra Belloni, and Paul Newham have led her to the power of pulse through hand drums and percussion as well as to the sonic possibilities and healing aspects of voice. 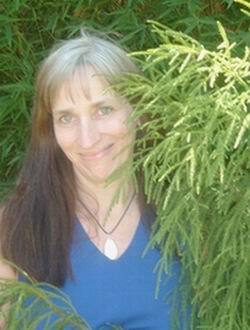 Currently the program coordinator of Upland Hills Ecological Awareness Center in Michigan, Judy facilitates rhythm and song circles for all ages and uses her love of music, sound and rhythm to nurture community, as well as to communicate gentle yet powerful messages regarding relationships to our self, each other, and to our Earth. Julie Felix is a wonderfully accomplished singer/songwriter whose career began with the protest songs of the 1960s and 70s continuing into the Goddess songs of the 90s and 00s. Julie is a regular performer at the Goddess Conference delighting audiences with her songs and chants, encouraging us all to sing our hearts out for the Goddess. Her numerous CDs include Branches in the Mist and Fire - My Spirit. She lives in Hertfordshire and spends much of the year travelling and performing worldwide. You can see many of these women at The Goddess Conference in Glastonbury, England, Goddess 3K, The National Women's Music Festival or at Michigan's Womyn's Music Festival. Ladyslipper is a non-profit organization whose primary purpose is to heighten public awareness of the achievements of women artists and musicians, and to expand the scope and availability of recordings by women. We publish the world's most comprehensive Catalog & Resource Guide of Music by Women. Our annotated catalog contains information about an expansive variety of female musicians, writers, performers and composers, plus a section devoted to the musical contributions of non-sexist men, as well as video recordings, songbooks and music-related books -- over 1500 titles altogether. We have been publishing a printed catalog since 1976; on our 20th birthday, we were delighted to present our entire catalog on-line! Thousands of our selections include music samples for listening on-line. Ladyslipper is also a small independent label; our purpose is to further new musical and artistic directions for women musicians. Being on-line allows us to present some additional services to you, such as our Artist Information Pages, which contain expanded bibliographical information about some of the artists whose work appears in our catalog.